And how to stay safe indoors while keeping away from pollen. Deal with the pollen and feel horrible for what seems like an eternity. 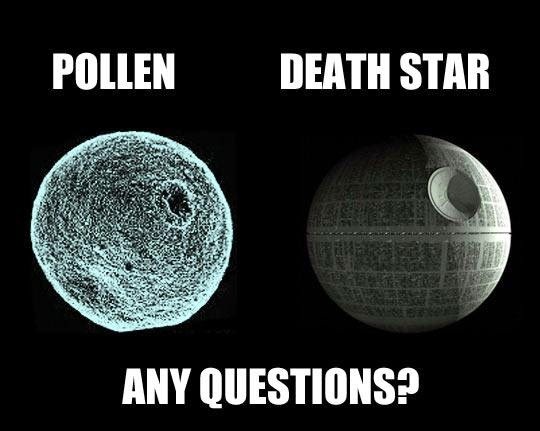 Since we all want to avoid the Death Star...er, we mean pollen, let's stick to staying inside when we can until the pollen has subsided. FE Tip: Not really a tip, but a fun fact. Lucasfilm (the people who make Star Wars films) doesn't own a trademark to Death Star—oh, the Death Star is...nevermind. Just watch the saga. However, Lucasfilm does have a registered trademark for "Tiny Death Star," aka pollen. You can blame your allergies on George Lucas. Poor air quality has a significant impact on the comfort of your home and overall health. While some symptoms may seem mild, they can escalate into more complex health complications. What's crazier than that? You probably had no idea, and it's pretty hard to notice. We usually think of air pollution as being outdoors, but the air in your house or office could easily be just as polluted. It wasn’t always this way. Over the years, as homes became more air tights and more energy efficient, we let a lot less air inside. To make matters a little worse, over 2,000 chemicals are released into the market each year. Those chemicals are used to make things smaller, better, cleaner; you know the drill. If we're honest, not all chemicals in your home are dangerous, per se. But you should know that the air inside your home can be up to five times more polluted than the air outside. Maybe open up your windows once in a while. 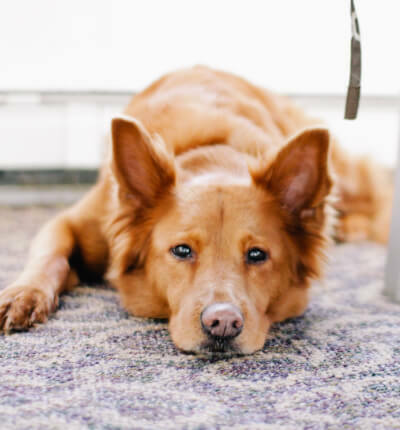 While indoor air pollution may only mildly irritate some, it can cause Sick Building Syndrome. Exactly as it sounds, you get sick from the building you’re inside. World Health Organization has documented “mucous membrane irritation (eye, nose, and throat irritation), neurotoxic effects (headaches, fatigue, and irritability), asthma and asthma-like symptoms (chest tightness and wheezing), skin dryness and irritation, gastrointestinal complaints” as some of the symptoms. Indoor Air Quality has become a buzzword of sorts, and you often hear about it referred to as IAQ. It’s not quite a public health issue, but it can be a concern when you throw poor outdoor air quality into the mix. 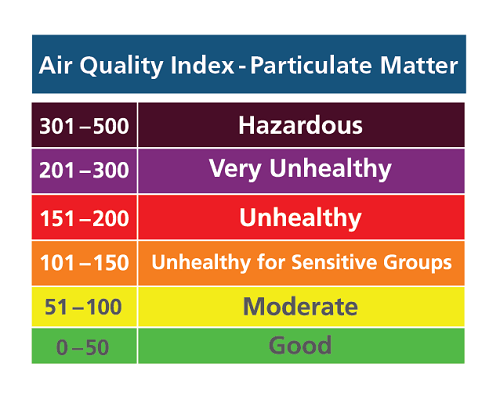 The EPA uses its Air Quality Index (AQI) to measure outdoor pollution. At the same time, even when AQI levels are within a healthy range, there’s plenty of nasty Volatile Organic Compounds (VOCs) ready to make your life a lot less pleasant inside. VOCs come in all sorts of forms: paints contain things like aliphatic hydrocarbons, ethyl acetate, glycol ethers, and acetone; formaldehyde (yes, what they use to embalm bodies) can be found not only in paint but also in ceiling tiles and adhesives; benzene, a known carcinogen, can be found in cigarette smoke and smoke from a wood burning fire. As a home wellness company, we could just tell you to regularly replace your air filters with a subscription service (because they really do help). But we won't just leave it at that. 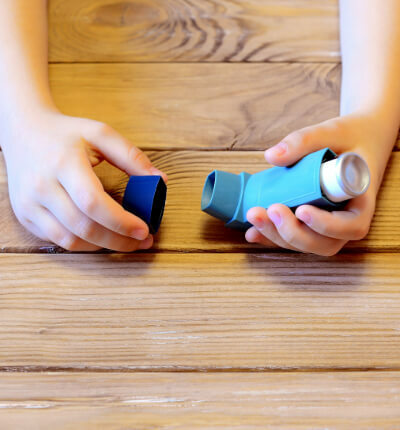 There are three easy items to run through that you can do to improve your home's IAQ so you really can escape the pollen this Spring. Smoke that can contribute to a lower IAQ is all around us. Even if you aren't a smoker, cooking produces smoke. So do candles and incense. If you have a fireplace, that produces smoke too. Don't smoke: but if you must, smoke outside. Need we go on? Cooking smoke: try using oils that have a lower smoke point. For example, Olive Oil has a relatively low smoke point: 320ºF. That's pretty easy to get to. Go for healthy and higher smoke point oils like Grapeseed oil (420ºF), Almond oil (420ºF), Hazelnut oil (430º), Ghee (485ºF and not actually oil), and the mother of all high smoke points, Avocado oil (520ºF). You can definitely sear a steak on some cast iron with some of that handy. Candles: not all candles are "wicked"—get it? Vegetable oil-based candles (like soy) are quite alright. And so are beeswax. It's the synthetic wax and animal-based wax that can produce indoor pollutants. More likely than not, you don't have candles at home made from animal lard, and yes that's what candles used to be made of. But most of us don't have soy-based candles either. Most modern-day candles are made with paraffin. Remember those VOCs mentioned earlier on? When burned, paraffin releases VOCs like benzene and toluene. Since no one wants to get cancer from those carcinogens, just toss those. Be better than Yankee Candle. 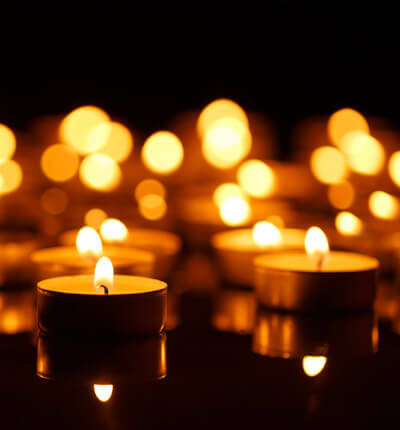 FE Tip: Up to 8% of candle manufacturers still use lead in there wicks. Yes, lead. The same lead that gave Romans brain plaque because they used it to make their pipes. Know what happened to the Roman's? Exactly. Also, keep in mind that most fragrances in candles are not great for you. Here's the general rule: burning produces some level of smoke that is bad to breathe in. Even incense (sorry yogis). Here's a better idea: add some essential oils to your air filters to give your whole home a fresh, natural scent. You could use a diffuser, but then you wouldn't be able to take advantage of (shameless plug) a subscription home air filter delivery service. FE Tip: If you do use essential oils in a diffuser, always be sure to use purified water. Using tap water can actually make the air you're breathing in pretty toxic as well. 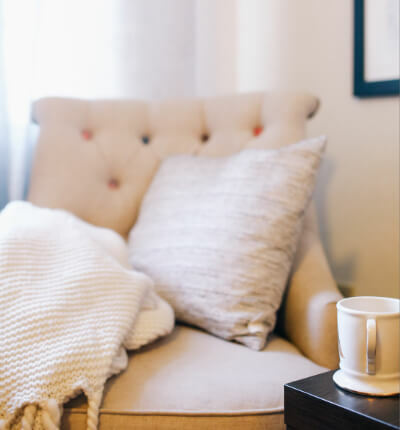 Of course, VOCs can be found in a lot of places, but finding VOC-free alternatives to these products will help to make your home a whole lot safer for you and your family. You may end up spending more, but health is worth it. For help finding healthy products, EWG is the closest thing you may find to an exhaustive guide. FE Tip: Planning to embark on a home improvement project? Make sure the materials you or a contractor are using are non-VOC (free of VOCs). For example, paint can be a common VOC culprit. 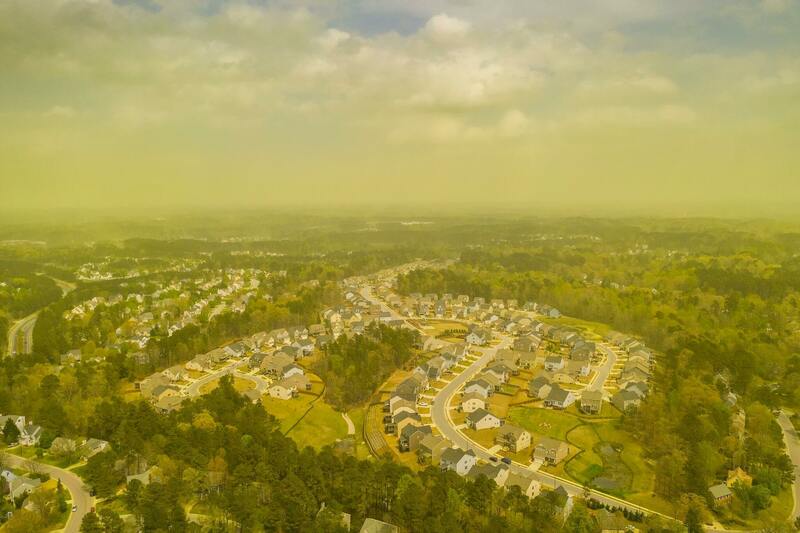 The easiest thing to do (other than regularly replacing your air filters) is keeping the pollen outside. Keep your car in the garage, so it collects less pollen. Wipe your feet off on a mat when you get inside. At the very least, take your shoes off when you get inside before tracking pollen inside. Your body (and floors) will thank you. If you have a mudroom, take advantage of that by taking your shoes off and leave them in there. Clean up after being outside. Put your clothes in the washer and shower the pollen off you—your hair is an especially problematic pollen magnet! 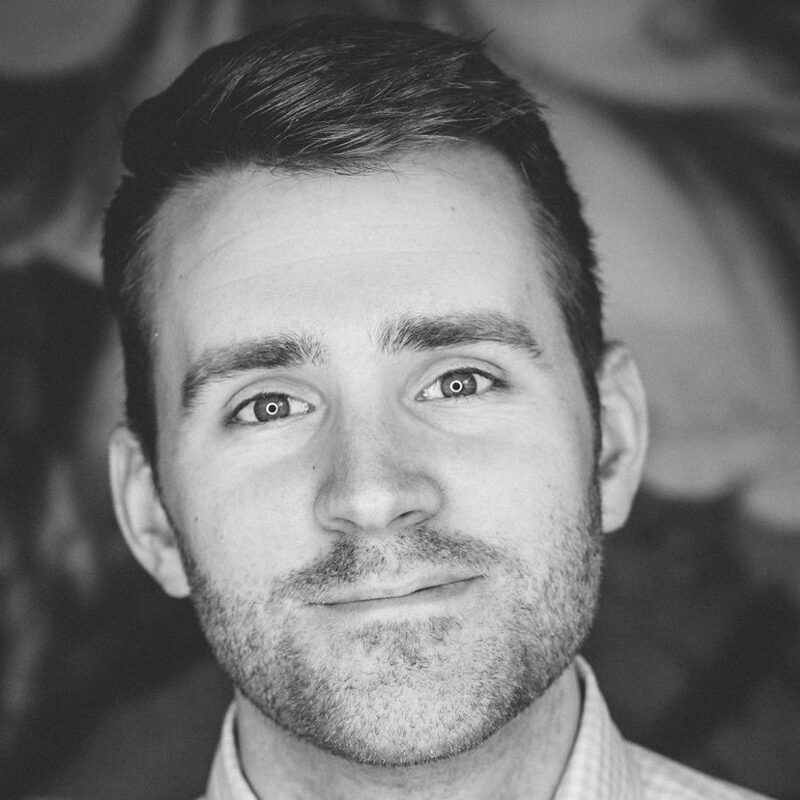 Men, it may be time to shave that beard. Clean your pets as often as they'll let you. When they come inside, they are going to bring in A LOT of pollen (not to mention all their common allergens). Use a bagless vacuum and use it often. Bagless or canister vacuums often have HEPA filters and are easy to empty outside, ensuring all the dust, dander, and pollen you collect is safely disposed of outside. Keep your windows and doors closed. It's as simple as that. FE Tip: Newer washers have allergen and sanitize functions. If you have allergies, you might want to use these if regular wash cycles don't do the trick. We're not trying to give you a massive list of to-dos; instead, this should just give you options to choose from. In this busy, always-on world, adding one more to-do isn't worth it. So pick what works for you, and legitimately, use FilterEasy to mark replacing your air filters off your to-do list forever. It's worth it for everyone, but especially allergy sufferers. All that to say, remember that spring is still a beautiful time of year so enjoy it when you can. Stay sniffle-free, friends!